‘Tis the season for food, fun and, for most of us, a little holiday travel. It’s awesome being able to ditch the real world for a few days to celebrate the holidays with family and friends. But as for the actual act of traveling itself? Honestly, between the long flights, airport headaches, and billions of other people trying to get where they’re going, it can be kind of a drag. But the good news: There are a few simple things you can do to make the travel process infinitely more convenient, allowing you to begin the R&R that much sooner. 1. Have easy access to your toiletries. You’ve made it to the airport on time (yes!) and you’ve never been more ready to take off. The only thing standing in your way? That huge line at security. Not only is it a pain to wait your turn amongst the hordes, it’s even more awkward when you have to stop, unzip your luggage and whip out your not-so-discrete Ziplock bag full of personal items for scanning. But with the help of the Jonny Bag, one of the newest travel products for women, you can breeze through security without touching your suitcase (or revealing too much to nosy neighbors). 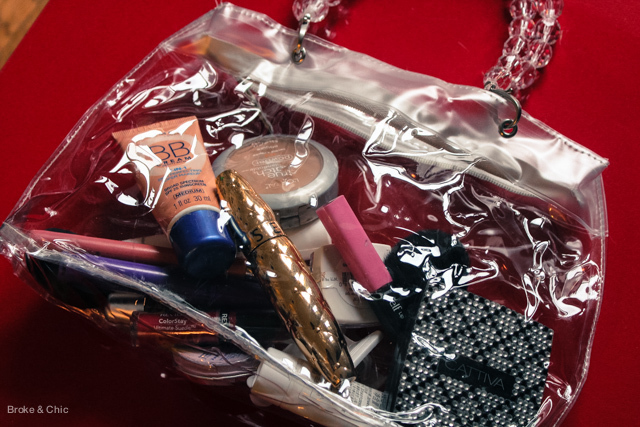 The Jonny Bag has two parts: A clear, TSA-approved inner-bag and an adorable outer-bag. 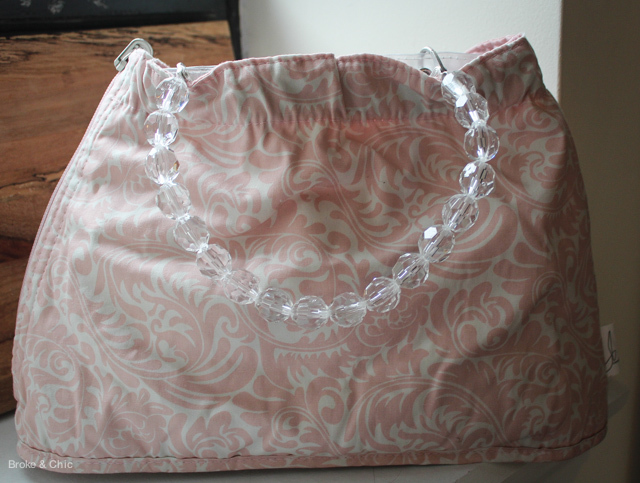 You just pack your toiletries into the vinyl bag and cover them up with the outer-bag in an instant. Then whenever you get to security, you can simply remove the cover and send your Jonny Bag through. No need to un-pack and re-pack your suitcase, and no need to walk around with your business on display. 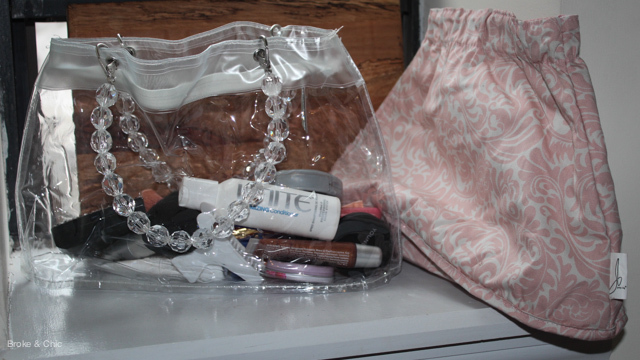 Bonus: The Jonny Bag also doubles as a stand-alone purse, so you can easily take your make-up to the bathroom to touch up after a long flight. They’re super cute with tons of handle and cover options, and are only $34 with free shipping! 2. Wear (comfortable!) 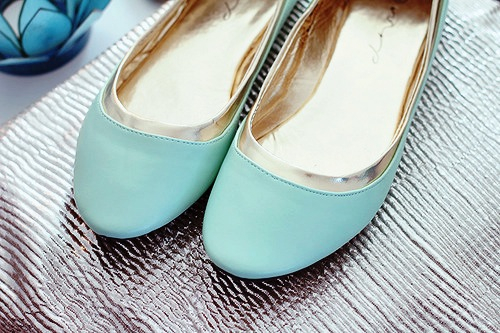 slip-on flats. Equally as important as your plan for cosmetics and toiletries: Your footwear selection. For those hectic travel days, wearing slip-on shoes versus clunky boots or tennis shoes can really make the difference. For example, when you’re going through security, your goal is to get through ASAP. With lace-up shoes, you’ll probably end up hopping down the line on one foot as you try to hurriedly untie and remove them. But with flats, all you have to do is kick them off, throw them in the bin, pass through, and grab them out of the bin immediately after. You don’t have to worry about holding up the line, and, if you’re in a rush to get to your gate, you waste no time fumbling around to get yourself back in order. 3. Feel out your destination before you land. When you arrive at your gate, chances are you’ll have some time to kill before you actually board. Why not put that time to good use? 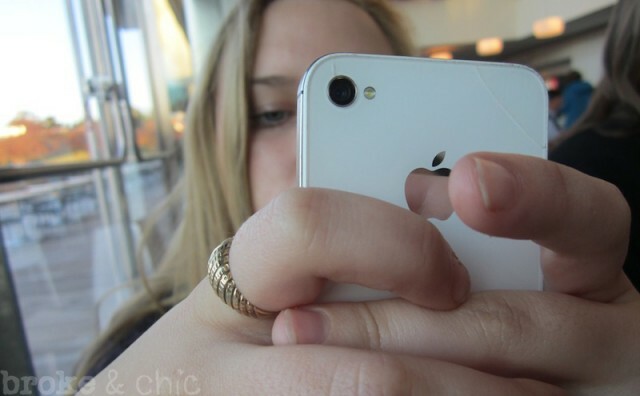 There are tons of apps out there that are specifically designed to make your travel more comfortable — take advantage. For example, Flight + allows you to check the gate your flight is scheduled to arrive in, which is info you can use to direct your family or friends on the best area to pick you up. You can also check the weather at your final destination, giving you ample time to adjust accordingly — after all, you don’t want to find out the hard way if it’s raining or snowing. Another app, TripIt, allows you to create custom “itineraries” using your flight schedules, hotel plans, event tickets and more that you can send to family members for reference during your stay. That way, you can loop everyone in at once. How do you make traveling easier? Let us know in the comment below!